Law Commission has recommended to the Union Law Ministry that the Board of Control for Cricket in India (BCCI) be brought under the Right To Information. IN A strongly worded report, the Law Commission has recommended to the Union Law Ministry that the Board of Control for Cricket in India (BCCI) be brought under the Right To Information (RTI) Act because it “exercises state like powers” and “virtually acts as a National Sports Federation”. 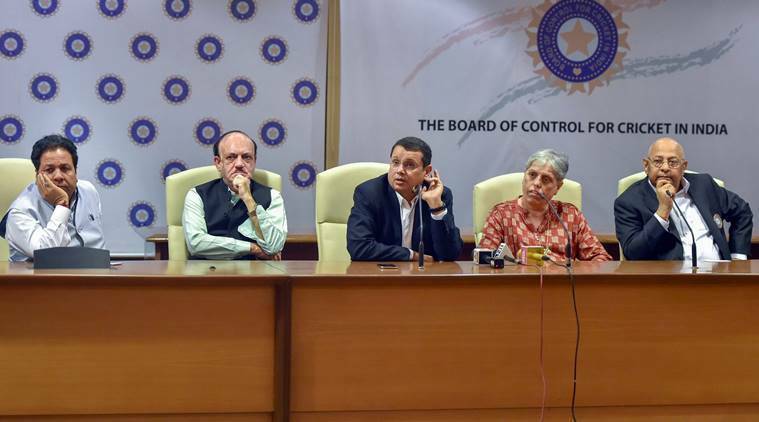 The commission described the BCCI’s role “as monopolistic in regulation of the game of cricket”, which has “resulted in the Board flying under the radar of public scrutiny, encouraged an environment of opacity and non-accountability”. “In the past this has probably given an impression in the minds of the general public that corruption and other forms of malpractices are adversely affecting one of the most popular sports played in India,” the commission said. It noted that the BCCI was a “limb of the state” as it nominated cricketers for the Arjuna award, abided by India’s policies on issues such as Apartheid in South Africa and engagement with Pakistan, and received “substantial financing” from the government in the past in the form of tax exemptions and land grants. Speaking to The Indian Express, former Chief Justice of India Justice R M Lodha said the commission’s recommendation was a reiteration of the 2016 Supreme Court order in the BCCI vs Cricket Association of Bihar case. “Actually, this (recommendation) is already the law of the land. This recommendation is just re-emphasising the order,” said the retired CJI, whose SC-appointed committee had made largescale recommendations to clean up cricket in the wake of the 2013 IPL spotfixing case. At the time, the apex court had given the BCCI six months to implement the order, but the Indian board continues to maintain that it cannot be brought under RTI since it’s not a government body but a society registered under the Tamil Nadu Societies Registration Act. Justice Lodha said he wasn’t sure if the executive would implement the commission’s recommendation. “I have reservations whether the government accepts the recommendations because BCCI has always been influenced by politicians and people from political parties. They have a huge clout. It is a matter of interest for them… I don’t know if it serves their political purpose and whether they will be keen to bring that law. But yes, it is a recommendation by the Law Commission, which is always weighty, and the government is expected to give deep thought and consideration,” he said. Former BCCI secretary Niranjan Shah said the RTI Act cannot be made applicable to organisations that don’t receive government funding. “The RTI definition says that only if substantial funds come from the government do you come under the RTI Act. So to bring the BCCI under the RTI ambit, the government will have to change the law. A law cannot be passed for one particular organisation. If this law is passed, it may affect many organisations, even political parties. From the beginning, the BCCI hasn’t taken any funding from the government,” Shah told The Indian Express. The commission, meanwhile, noted that the BCCI “should be held accountable, under all circumstances, for any violations of basic human rights of the stakeholders”. “An analysis of the functioning of BCCI also shows that the Government does exercise control over its activities and functioning. As was argued in the Zee Telefilms case (over broadcast rights in 2005), the BCCI, falling in line with the foreign policy of India, did not recognise a player from South Africa due to their practice of apartheid; and that the cricket matches between India and Pakistan in view of tense international relations were made subject to Government approval. The foregoing positions BCCI as a ‘limb of the state’, and it should, therefore, be held to be ‘State’,” the report said. “BCCI virtually acts as a National Sports Federation (NSF). Its own Memorandum of Association states that the Board’s objects and purposes are to control, improve quality, lay down policies pertaining to the game of cricket in India as well as select teams to represent India at international fora. Moreover, as per the statement made in the Lok Sabha, the Central Government has already been regarding BCCI as a National Sports Federation and hence, it is recommended that, for the removal of any doubt, the same be explicitly mentioned in the list of NSFs available on the ministry’s website,” the commission said. “This express mention would automatically bring BCCI within the purview of RTI Act. Other sports bodies listed as NSFs… (by) the Ministry of Youth Affairs and Sports, available on its website, do attract the provisions of the RTI Act,” the commission said. “In light of the above stated facts, since all other sports bodies which are listed as NSFs are covered under the RTI Act, it is inconceivable as to why BCCI should be an exception… it is recommended that RTI Act be made applicable to BCCI along with all of its constituent member cricketing associations, provided they fulfil the criteria applicable to BCCI,” said the six-member commission chaired by Justice B S Chauhan. * The BCCI “nominates cricketers to the Arjuna Award… The uniform of the players of the Indian team (as selected by BCCI) contains the national colours and their helmets display the Ashok Chakra”. * “Recently, the Apex Court reaffirmed that BCCI is the “approved” national level body holding virtually monopoly rights to organize cricketing events in the country”. * “…owing to its monopolistic character coupled with the public nature of its functions and the ‘substantial financing’ it has received from appropriate Governments over the years (in the form of tax exemptions, land grants et al), it can, within the existing legal framework, still be termed as a ‘public authority’ and be brought within the purview of the RTI Act”. * The BCCI, like other NSFs, undertakes activities of “organization of national/ international tournaments in the country, selection of sportspersons/ teams, sending them for training and participation in international tournaments abroad”. * “And, it be noted that in relation to cricket, BCCI exclusively performs/ undertakes these activities in as well as on behalf of India; thereby operating and functioning as the NSF for cricket”.